The Cloister’s on Kent Island is an Age Restricted, Active Adult Community. This is a fee-simple lot subdivision that was changed to a condominium regime. 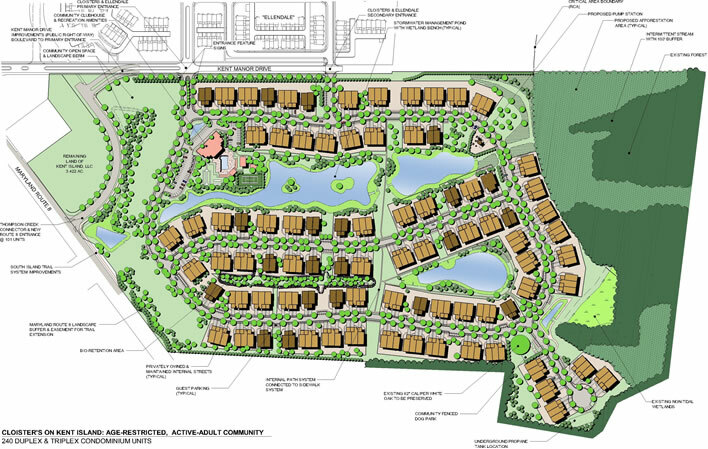 The subdivision contains a balanced mixture of Duplex & Triplex units totaling 240 residential units. A Community Center anchors the subdivision and provides multiple amenities for its residents such as Tennis Courts, Bocche Ball Court & Community Pool. A Community fenced dog park is also included on the property.